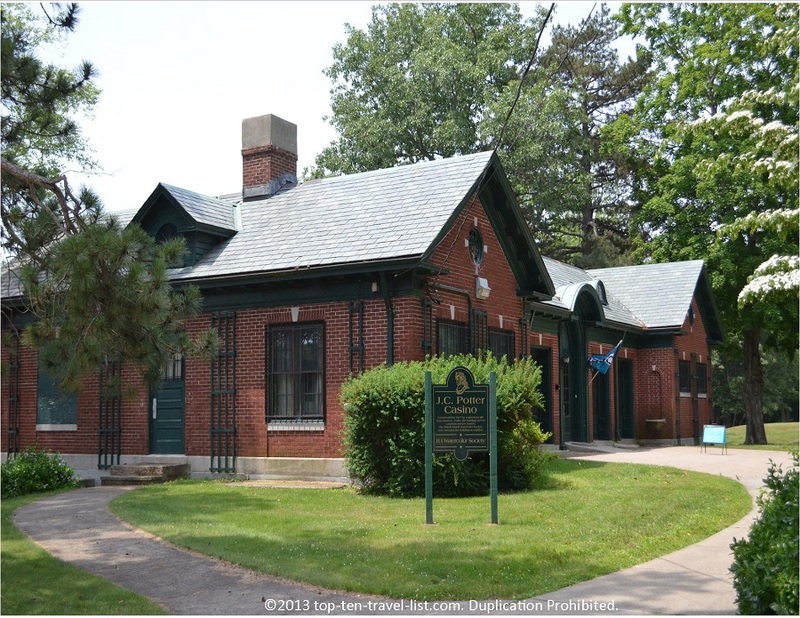 Slater Memorial Park: Home of the World's Oldest Looff Stander Carousel - Top Ten Travel Blog | Our experiences traveling throughout the US. 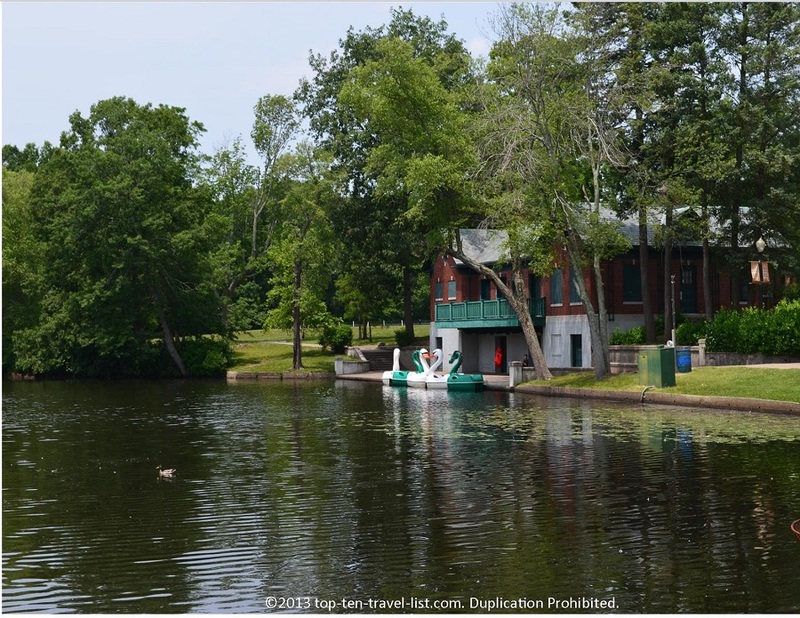 Slater Memorial Park, named after Samuel Slater, who built America’s first water powered mill, is the oldest and largest park in Pawtucket, Rhode Island. 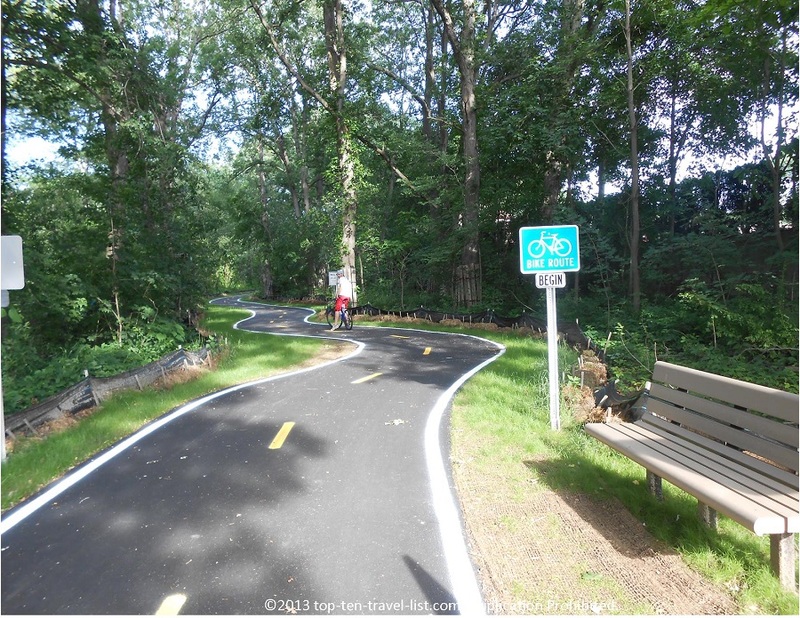 The park is located about 15 minutes from Providence, making it an ideal daytime recreational destination. In 1976, Slater Park was added to The National Register of Historic Places in 1976. 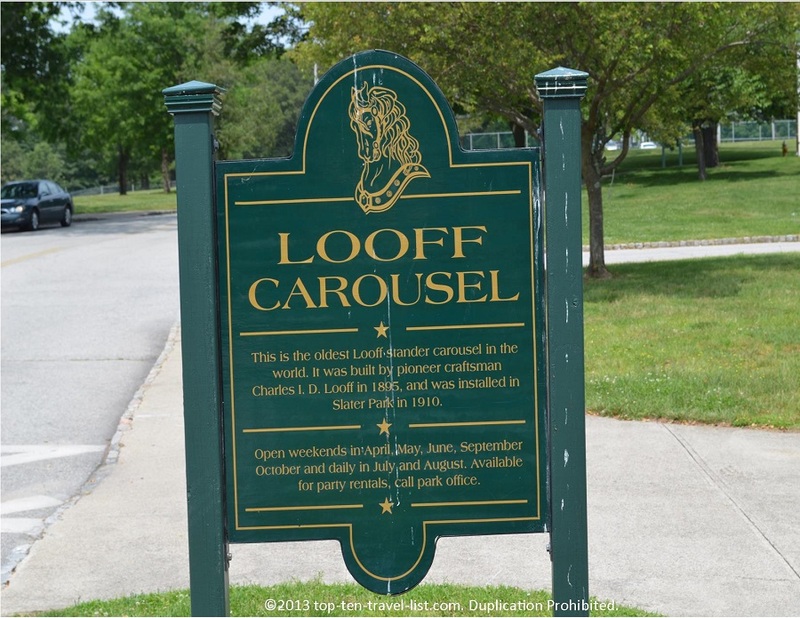 You will find the oldest Looff Stander carousel in the world at Slater Memorial Park. 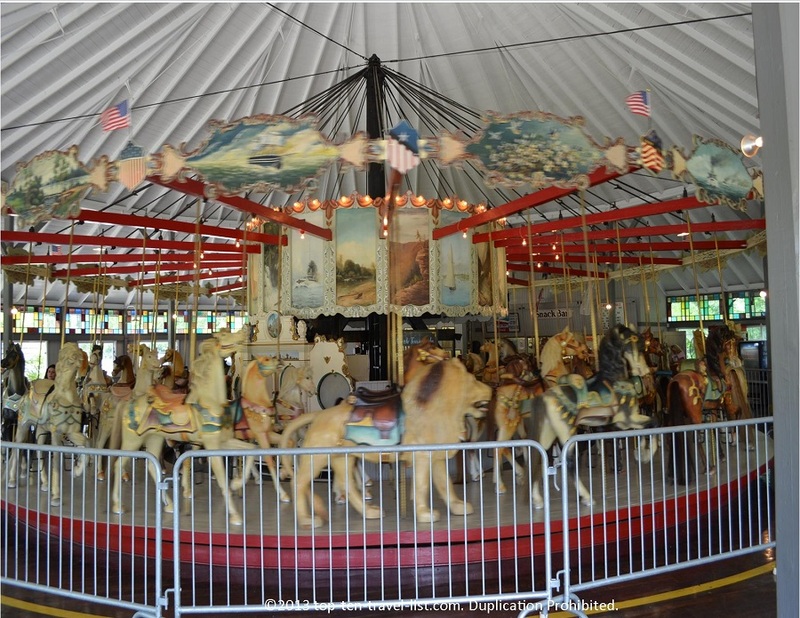 The carousel was built in 1895 and installed in 1910. Fortunately, the pricing is still back in the old days as well! A ride will cost you a mere 25 cents! Open everyday in July and August, and on weekends in April, May, June, and September. This park is also home to the Rhode Island Watercolor society, which is housed in a former casino. Founded in 1896, this society is one of the oldest in the United States. The society features over 300 members. Free admission to the gallery is offered on Tuesday – Saturday from 10am – 4pm, and on Sunday from 1-5pm. 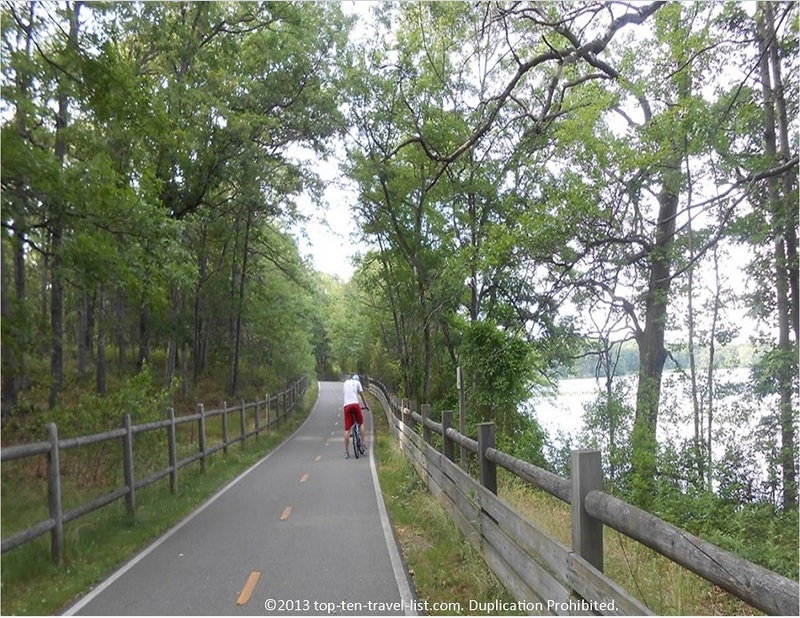 The 3 mile bike ride around the Ten Mile River is a gorgeous, clean, easy ride. 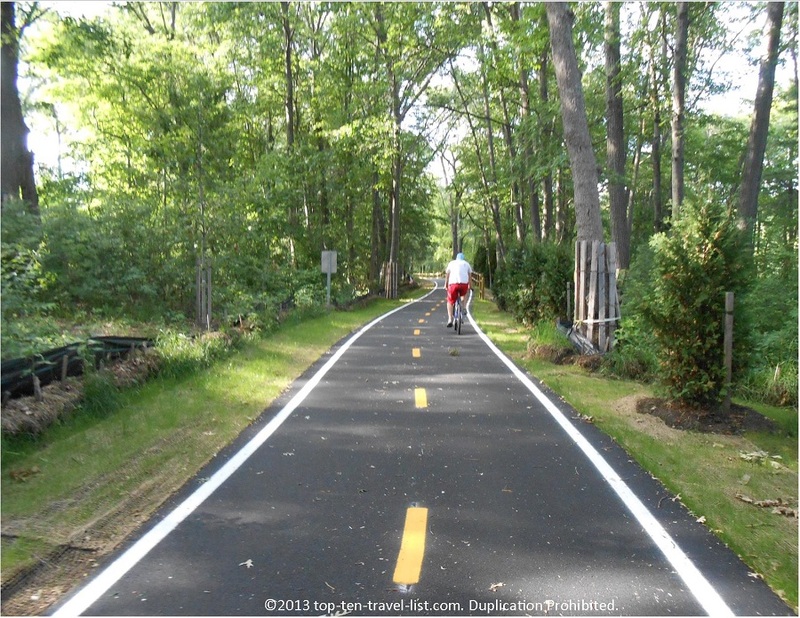 This flat, paved path, is easy to do due to the short distance and scenic water and forest views along the route. There is a beautiful pond to take a walk or jog around. Opportunities for freshwater fishing also exist. 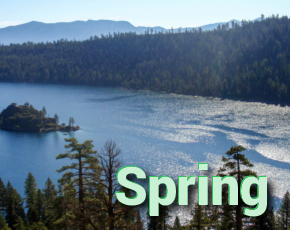 During the summer months, they offer paddle boat rentals for $5. 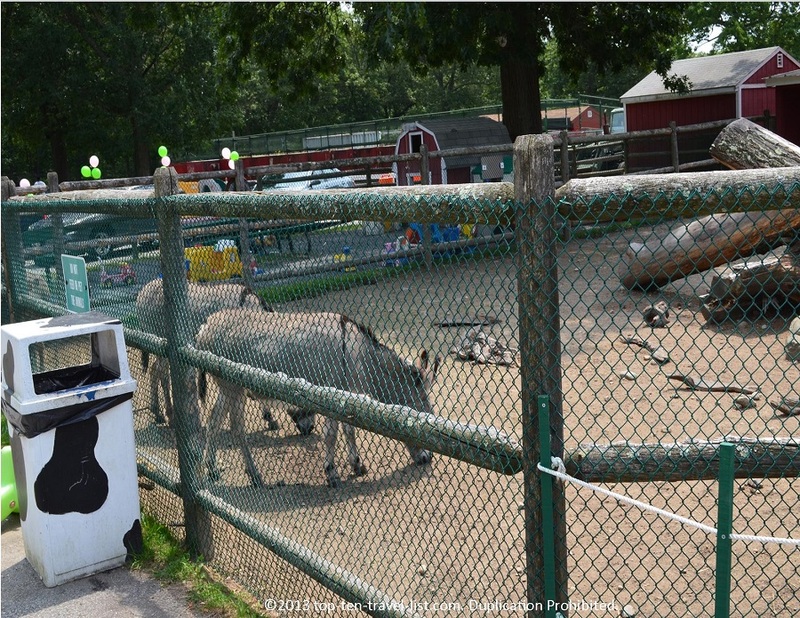 The 30 minute rides are available everyday from 11:00am -6:00pm (Check with park for time and date changes). 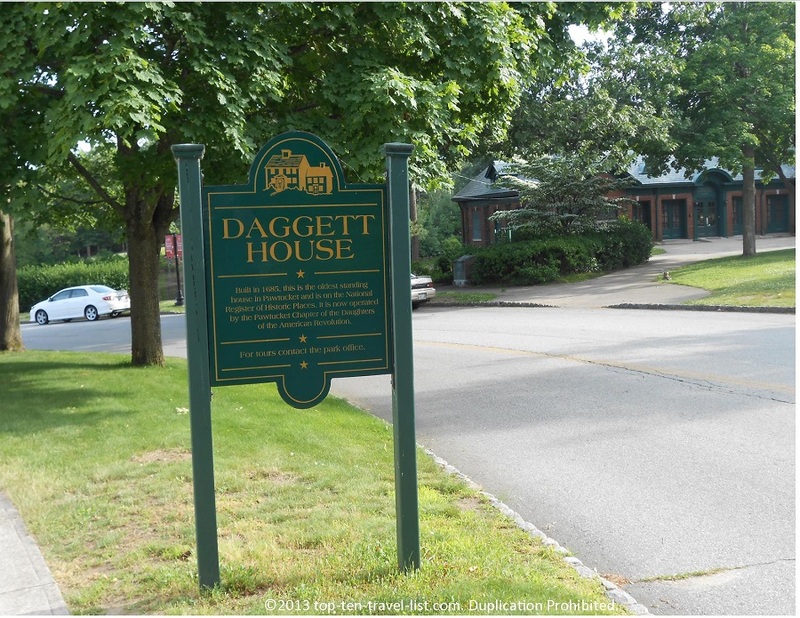 The Daggett House, built in 1685, is the oldest surviving building in Pawtucket. 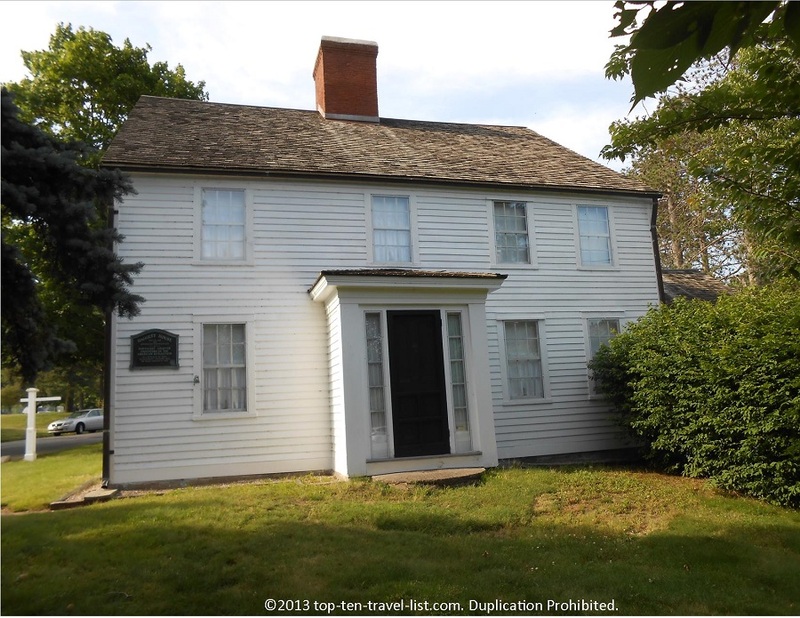 Tours in which you can view the antique furniture and Colonial pewter used in Revolutionary War are available June -September from 2:00-5:00pm. 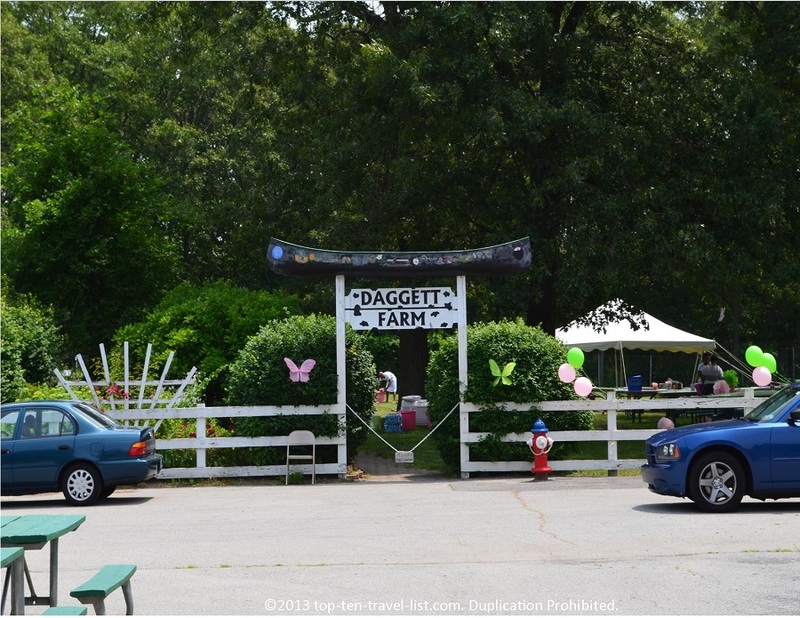 Daggett Farm,the former site of Slater Zoo, is now used as a petting zoo, featuring several small animals including goats, roosters, donkeys, and more. It is open year round, Mon-Fri, 8:00-4:00 p.m and Sat-Sun, 9:00-4:30 p.m. Admission is free. Greenhouse tours and concession stands are now available. 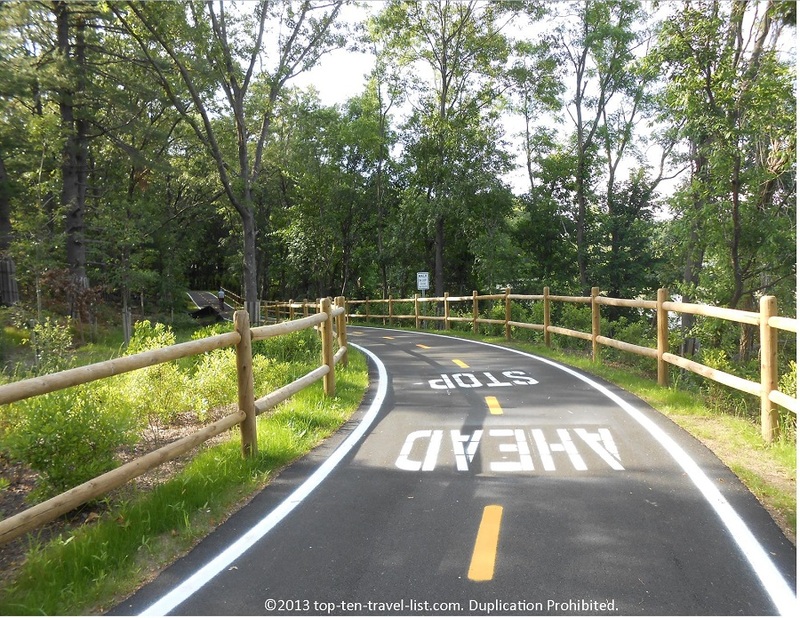 Other features available at Slater Memorial Park include hiking trails, tennis courts, picnic tables, and a dog park. 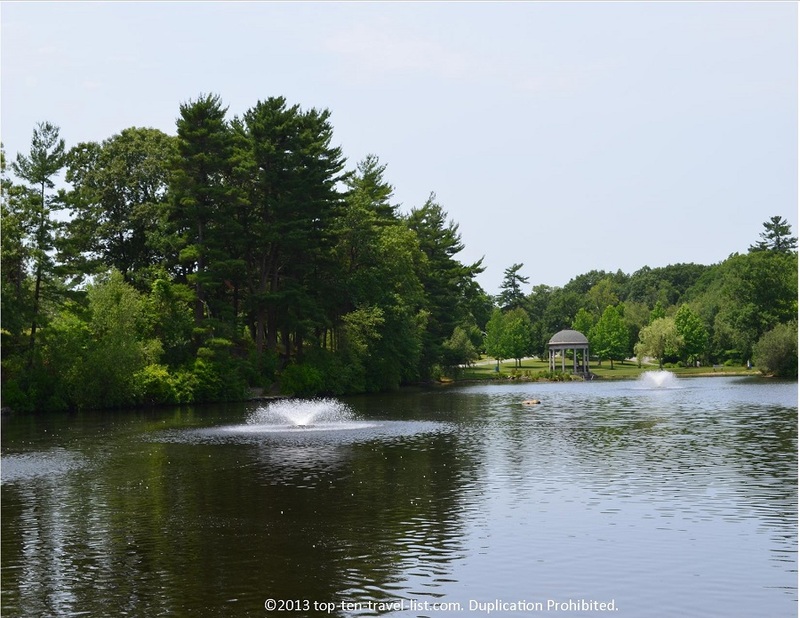 Slater Memorial Park is a beautiful park, whether you are a resident of Rhode Island or just visiting. 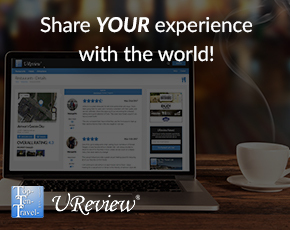 Plenty of recreational activities, year round events, and local historical attractions await your visit.